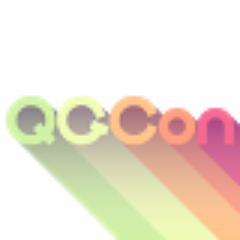 The Queerness and Games Conference (QGCon) is an annual, community-oriented, nationally-recognized event dedicated to exploring the intersection of LGBTQ issues and video games. Now in its third year, QGCon is held on the campus of the University of California at Berkeley. The event is free to the public. In 2015, QGCon will be held from Friday, October 16, to Sunday, October 18. Accessibility, inclusion, and creativity are key values of QGCon. We seek to foster dialogue between scholars, game developers, and game players. QGCon audiences are diverse, and presentations emphasize engagement and play. We believe in an intersectional approach to queerness. Addressing topics of gender, race, ability, body type, class, etc. reminds us that the struggles (and victories) of those of us who play from the margins are interconnected struggles. Past QGCon keynotes have included visionaries from both queer studies and video games, such as: Naomi Clark, Jack Halberstam, Merritt Kopas, Brenda Laurel, Colleen Macklin, Lisa Nakamura, and Kathryn Bond Stockton. Additional featured speakers have included outstanding game studies scholars like Adrienne Shaw and Samantha Allen.